An electric bus built by Chinese automobile manufacturer BYD, which is silent and has a zero environmental footprint, was presented for the first time in Athens on Tuesday at Aegli Zappiou multiplex by Petros Petropoulos SA, Greek manufacturer and distributor of automotive products, ANA reports. 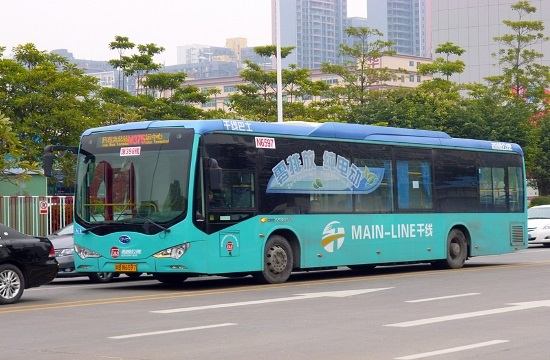 The BYD bus is 100% electric, 8.7 meters long, and can carry 58 passengers total, 22 of them seated. It features an aluminum bodywork, 180 KW power housed electric motors, a 250 BHP engine, and 350 NM of torque available upon ignition. A two-hour charge can keep it running for 200 kilometers.